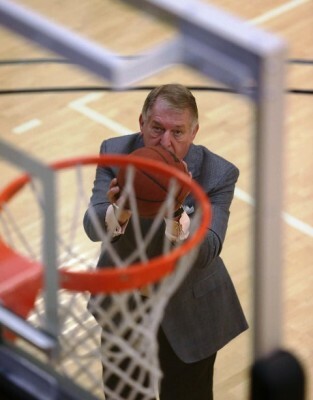 Jerry Colangelo had an impromptu idea. It was the middle of October, and he and his guest did just that, leaving their breakfast at the Arizona Biltmore to take a quick drive to Grand Canyon University. A short time later, they were walking into a classroom, unannounced, as students’ eyes got bigger and jaws started dropping. The Introduction to Sports Management class at GCU was about to get a question-and-answer session with NCAA President Mark Emmert — and Colangelo — just like that. “The energy inside the classroom was palpable,” said Dr. Brian Smith, director of the Colangelo School of Sports Business and the teacher of that aforementioned class. “Mr. Colangelo and Dr. Emmert shared stories while also inspiring the students with positive words of encouragement. The spur-of-the-moment session was unexpected in many ways. But, in the grand scheme of things, it really wasn’t. 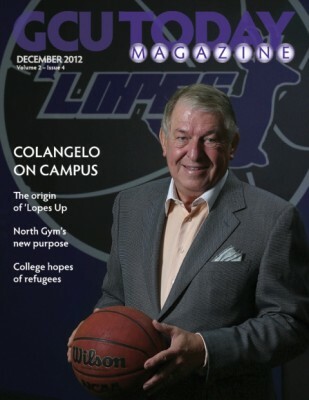 Colangelo is not simply a name on the masthead of a college. He is a Phoenix icon. Someone who takes pride in every venture he is involved in. Someone who is regarded as one of the most influential executives in professional sports. And, mostly, someone who just makes things happen. Colangelo’s story is well-chronicled. The grandson of Italian immigrants rose from modest roots in Chicago’s “Hungry Hill” district to build a sports empire in Phoenix. 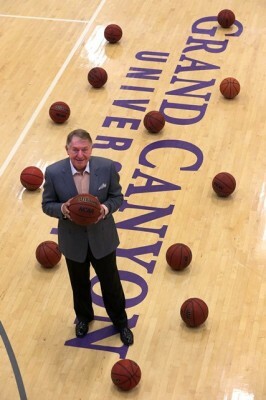 After helping to launch a Chicago Bulls franchise in a city where two previous teams had already failed, a 28-year-old Colangelo packed up his wife and three children and joined the expansion Phoenix Suns in 1968 as the youngest general manager in pro sports. Over the next 40 years, he served as coach, president, managing general partner, chief executive officer, part owner and chairman of the Suns— a team that reached the NBA Finals twice under his watch (1976 and 1993) and built the fourth-best all-time winning percentage in the league. On the business end, Colangelo was at the forefront of deals such as arena naming rights and packaging things like radio and TV rights, signage, marketing and tickets. For a time, the Suns were the highest revenue-producing team in the league despite operating in the 19th-largest market. 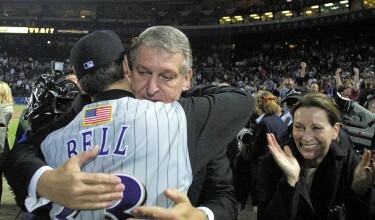 In 1993, shortly after the NBA finals, Colangelo was approached by Joe Garagiola Jr. and Jim Bruner with the idea of bringing an expansion baseball team to Phoenix. At that point, there were no plans by Major League Baseball to expand and previous attempts to lure baseball to the Valley of the Sun were unsuccessful. After some initial hesitation, Colangelo looked at the impact a baseball franchise could have on downtown Phoenix and agreed to spearhead the project. The Diamondbacks were born in 1998 and in their first five years of existence won three division titles (1999, 2001, 2002), a National League pennant (2001) and a World Series championship (2001) — the fastest an expansion team had ever won a title. The irony of that World Series title isn’t lost on Colangelo, who chased an NBA title for nearly 40 years before selling the Suns in 2004 to Robert Sarver for $401 million (he led an ownership group that bought the team in 1987 for $44.5 million). 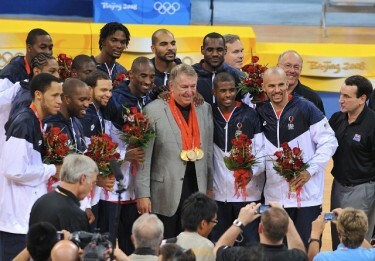 Later, Colangelo added two Olympic gold medals as the head of USA Basketball and an induction into the Naismith Basketball Hall of Fame to his list of accomplishments. Colangelo’s involvement in USA Basketball couldn’t have come at a better time – for him and the U.S. Olympic team. Team USA was coming off an embarrassing bronze-medal finish in the 2004 Athens Olympics, where it lost three times and didn’t represent the U.S. well on or off the court. For Colangelo, 2004 was a tumultuous year from a personal standpoint. one in a bear hug). Determined to put all of 2004’s troubles behind him, Colangelo had surgery on Dec. 31 of that year to remove his prostate so that he could start 2005 with a clean slate. While Colangelo was recuperating, NBA Commissioner David Stern came calling with an offer to take over USA Basketball. Stern said Colangelo was a natural for the position. Every player he approached signed on. After an initial hiccup against Greece in the 2006 World Championships, the U.S. won gold medals at the 2008 Beijing Olympics, 2010 World Championships in Turkey and 2012 London Olympics. Colangelo also worked to bring in sponsors and fully fund the program. “As a businessman, he’s one of the best,” Krzyzewski said. “He basically raised four times as much money as the previous four-year period, and he raised even more in the next four years. Besides raising money, he developed relationships with businesses like Nike and Tiffany. They felt like part of the team. Colangelo, at age 72, has no immediate plans to slow down. 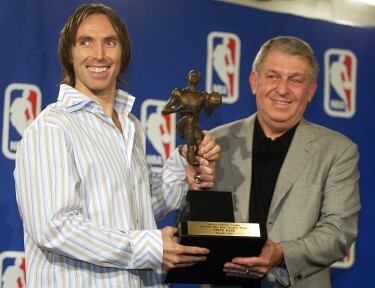 He is still involved as chairman of USA Basketball and as chairman of the Naismith Hall of Fame. He has real-estate holdings such as the 300,000-residence Douglas Ranch in Buckeye and Wigwam Resort in Litchfield Park. And he still serves on several non-profit boards. That means continued involvement in the Colangelo School of Sports Business.